So off the bat I’ll say that I don’t need anymore makeup than I currently have but I like makeup and new things so that means that I’ll buy new things. Most of this wishlist is based on things that I’ve had my eye on for a little bit, I tend to stick to makeup because the skin care prices at Sephora are a little too dear for me. I’ve kept it pretty short, because I've already spent way too much on makeup this year, not that I think I'll be stopping anytime soon, but a little restraint never hurts. Laura Mercier | Candleglow Sheer Perfecting Powder in medium deep. I actually want both of these palettes but I’m going to settle on getting just one. If I love it then I’ll pick up the next one when I get a chance. I recently purchased the Neo Highlighter in Sahara and love the texture, application and performance of the powders, so I want to add to my collection. 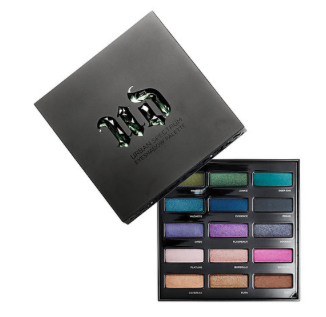 This is a vibrant bright eyeshadow palette, do I need another eyeshadow palette, nope but I like the looks of it. Reviews have been favourable for it, I also like that the eyeshadows are actual full size shadows, so it works out to be a great price. I’ve swatched this powder in store and love the way it feels. From the description it looks like you can get sheer coverage with the ability to build it up. It’s been compared to the Hour Glass ambient lighting powders, which are more costly and don’t fit my skin tone the best. So if I can get similar results at a lower price and better colour match then I’m all for it. Just like I don’t need anymore makeup, I don’t need anymore skin care, however I’ve had my eyes on Drunk Elephant products for a while, and I think that this mini set is a great way to try out the products without committing to the steep price tag. There is another set that has 7 items in that is $100, maybe at a later date I’ll check that one out. 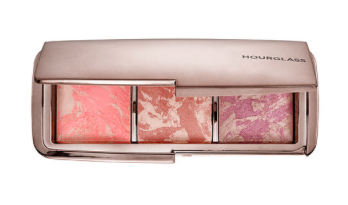 I’ve had my eye on this palette since it first previewed back in December. I had planned to get it then but held off. My only concern with this guy is the pigmentation. Because each pan and blush has it’s own unique swirl theres no way to know the ratio of ambient powder to blush each pan will have. So one pan might be more blush and less ambient powder while another might be all ambient powder and little to no blush. I’m hesitant. If I were to purchase everything on my list it would come up to $343 after the discount and with taxes it would be $388. I honestly don't think I would pick up both skin care set. With the removal ofthe Sunday Riley set and the Sheiseido serum my total goes to $252 with the discount and with taxes is $285. I don't think I'll get everything right now, maybe just the Neo-Bronzer, blush palette and maybe the eyeshadow palette, just because. After it's all said and done, the savings is pretty minimal. The discount is 15% in Ontario taxes are 13% so I really save 2%, it has been mentioned that with ebates you are actually getting a bit more, but we'll see. Maybe if they have it doubled for the sale period.